It still has all the code metrics you’ll probably ever need, a custom made code query language, diagrams (some of which are still a little difficult to read) and graphs to help with analysis. See my post about the previous version for some examples. 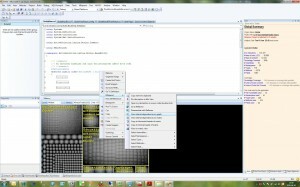 If you’re into code analysis you should give NDepend a try. With this new version it’s more usable than before and it still has the same very powerful analysis engine under the hood. Check out http://www.ndepend.com for more info.